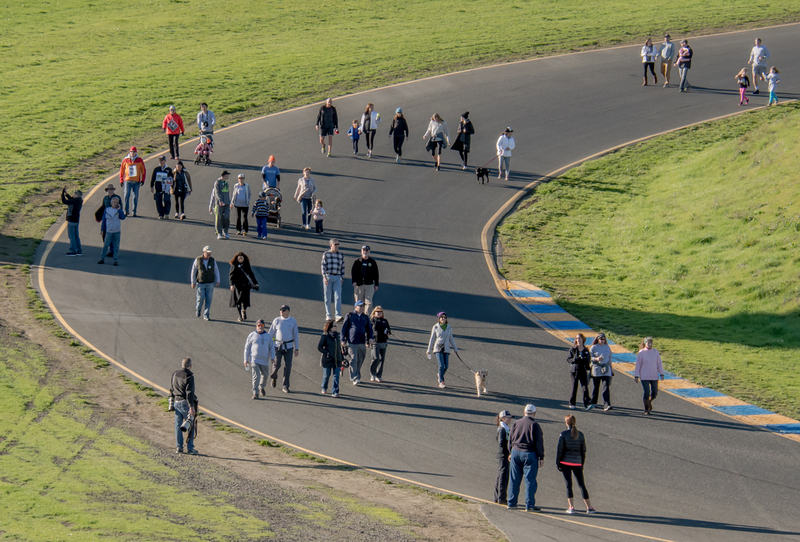 Sonoma Raceway will open its 12-turn road course to walkers and runners alike as it hosts the West Coast’s only major fundraising walk for No Stomach for Cancer on Saturday, Jan. 12. The 8th annual John’s March Against Stomach Cancer will support thefight against the third leading cause of cancer deaths worldwide. John’s March, which has raised more than $110,000 over the past seven years, offers a unique chance to raise funds for No Stomach For Cancer, a global advocate for stomach cancer awareness, early detection, treatment and prevention (www.nostomachforcancer.org), and enjoy a symbolic “march” around the raceway’s 2.52-mile road course. The event is named in honor of the raceway’s longtime spokesman John Cardinale, who passed away in 2013 after a two-year battle with the disease, becoming one of nearly 723,000 people who will die from stomach cancer in the world each year. Participants and donors are encouraged to raise awareness and increase their impact by registering and creating a John’s March team page at https://www.eventbrite.com/e/8th-annual-johns-march-against-stomach-cancer-registration-51886236129. Registration for the event is $40 per person, which includes the walk/run, a T-shirt and light refreshments following the March. For those looking for more of challenge, 5K and 10K race distances will be also marked. A shorter, less hilly course will be available for those who do not wish to complete the full 2.52-mile circuit. This is an all-inclusive event – children, pets, everyone is welcome. No scooters or skateboards are allowed on track. Participants can also bring pictures of loved ones affected by gastric cancer to share on the Warrior Wall, which will honor those affected by the disease. Day-of registration begins at 7:30 a.m. on Saturday, Jan. 12, and the March begins at 9 a.m. Advance registration is not required; walk-ups are welcome and encouraged. For more information about John’s March, visit www.eventbrite.com/e/8th-annual-johns-march-against-stomach-cancer-registration-51886236129 or contact Diana Brennan at dbrennan@sonomaraceway.com or 707-933-3918. NEXT POST Next post: Northeast Race Cars & Parts Named as New Authorized FURY Dealer in Northeastern U.S.